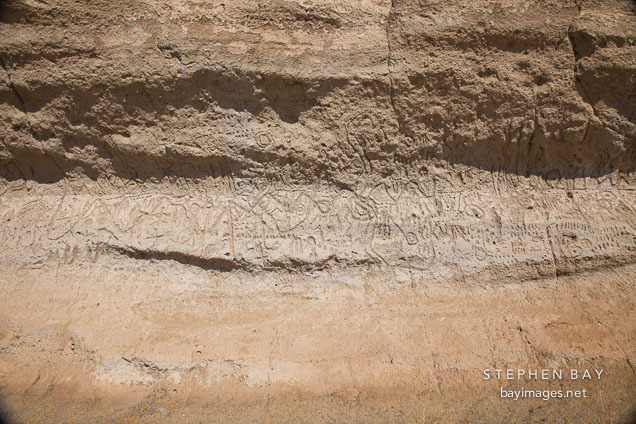 Photo: Wall covered in petroglyphs. Petroglyph Point, California. Wall covered in petroglyphs. Petroglyph Point, California.